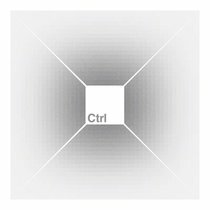 Ctrl is Derek Webb's highly anticipated follow-up to the critically acclaimed and at-times controversial Stockholm Syndrome (2010). Once again Derek reaches across dividing lines and uses his uncanny lyrical ability and innovative song production to open thought - provoking conversation. conventions of genre and style. This promises to be Webb's most revealing and provocative album in an already esteemed solo career. :Ctrl is Derek Webb's highly anticipated follow-up to the critically acclaimed and at-times controversial Stockholm Syndrome (2010). Once again Derek reaches across dividing lines and uses his uncanny lyrical ability and innovative song production to open thought - provoking conversation.